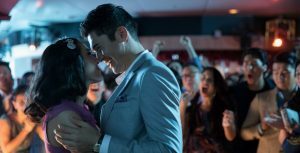 After the successes of films such as “Black Panther” and “Wonder Woman,” which featured cast members of underrepresented groups, “Crazy Rich Asians,” a rom-com film based on the novel of the same name by Kevin Kwan, was highly anticipated by the public due to its all East Asian cast. The movie, after being released on August 16, was an instant hit, dominating box office charts and receiving positive reviews from critics. In addition to its top tier production, “Crazy Rich Asians” has also sparked an important conversation about representation in Hollywood. The film follows the story of Rachel Chu (Wu) going to Singapore with her boyfriend, Nick Young (Golding), to accompany him to his best friend’s wedding and to visit Nick’s family. However, she soon finds out that Nick is the heir to a wealthy family that owns a real estate business, and is soon under scrutiny from both the public and Nick’s family for dating him without any social status of her own. On the surface, it seems like your everyday rom-com. However, the film sets itself apart from its own genre by making Chinese culture and identity a vital factor in the plot. By seamlessly intertwining the Western rom-com style with East Asian influences, the film has the power to captivate both Asian and non-Asian audiences. The film never fails to lose its original rom-com essence, filling the scenes with lighthearted comedy and an endearing love story. The use of character tropes already familiar to audiences, such as the humorous but always supportive best friend and fashionable cousins, makes the style of film familiar. However, at the core of the film, the plot deals with the issue of the identity gap many Asian Americans experience between their upbringing and their culture. Rachel, on top of her lack of financial status, is Chinese-American. This causes even more tension in the Young family as she is considered not “truly” Asian, and causes doubts about whether she is deserving to be Nick’s partner in the first place. Rachel has to deal with feeling out of place despite being surrounded by people that share her heritage and with the conflicting views of her American upbringing and traditional Chinese values. The film manages to encompass Rachel’s inner troubles perfectly by using bold cinematography and careful acting by Wu. In terms of production, the majority of the soundtrack consists of Mandarin songs or Mandarin Chinese covers of well known western songs such as “Material Girl” originally performed by Madonna. Additionally, the dialogue is also spoken in Mandarin in multiple instances. This intersection of influences incorporated in all aspects of the film enables it to be accessible to all audience groups, on top of making it genuinely enjoyable. “Crazy Rich Asians” has definitely proved itself to be a step in the right direction in representation. However, it is not the final win for diversity in Hollywood. Even for Asian representation, there is still a long way to go to incorporate South and Southeastern Asians in mainstream media. The film should be a start of more minority-lead productions, and it functions as proof to major studios that diversity is never a hindrance to a film. Overall, “Crazy Rich Asians” takes a courageous stand for representation while delivering a simple, heartwarming love story. 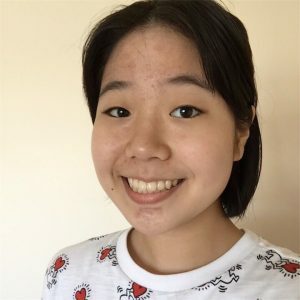 Futo is a junior, and is the multimedia editor for crier. This is her first year on the crier. In her free time, she enjoys drawing and playing the piano.